For Aikido to be practised with any element of martial integrity, the ability to employ kuzushi when applying a technique is a critical skill. I would go as far as to say that in the absence of employing kuzushi it would be almost impossible to successfully apply any Aikido technique against a structurally centred and non-compliant aggressor of equal size and strength. For those not familiar with the term kuzushi, it is most commonly used in a martial context as a reference to unbalancing the person who is initiating the attack (uke). In other words, it involves bringing the uke’s center of gravity beyond their base of support and hence removing their ability to regain uncompromised balance. While in this unbalanced position, it becomes very difficult for the uke to resist or counter the application of an appropriate Aikido technique. While it all sounds so simple, learning to employ kuzushi is far from easy in practice. Amongst other things, it requires relaxed sensitivity, timing, and the ability to redirect an attacker’s energy. If that isn’t challenging enough, kuzushi also needs to be employed at the time of first contact with the uke and then maintained throughout the application of the technique. Unfortunately, I note there are a number of Aikido commentators around the web that appear to be concerned there is a trend in modern Aikido to de-emphasise and in some cases disregard the important role of kuzushi. I certainly hope these concerns are unfounded. 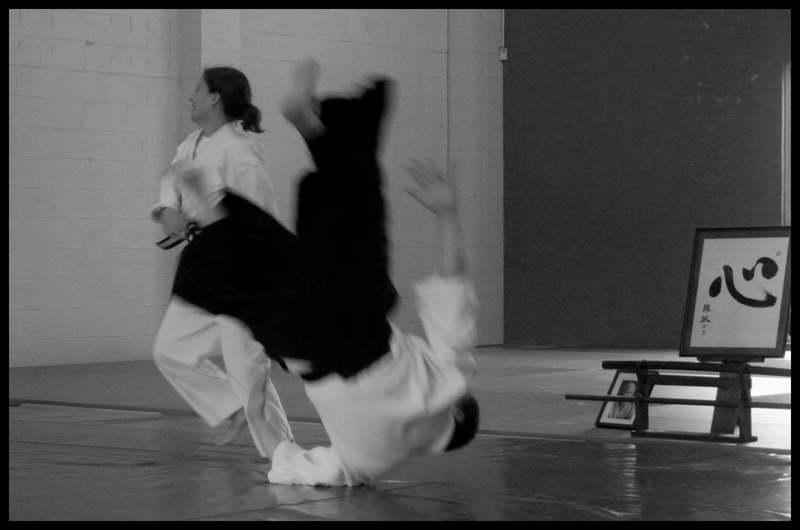 Excluding kuzushi from our practice would effectively render Aikido useless from a martial perspective. For me, Aikido without kuzushi is like pizza without cheese. It’s not something I’m interested in trying.